This topic contains 0 replies, has 1 voice, and was last updated by AX005 3 years, 11 months ago. Copied from google groups from fifteen years ago. I wonder if any of these other than CREST [website link works] still exist or operate in 2015? no longer around, tell me so I can remove it. shy at saving this and sending it to anyone who might find it useful. 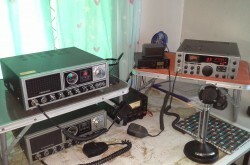 Albatross Radio of Australia Club inc. The Alpha Mike Club is located and operates from Newcastle NSW, Australia. 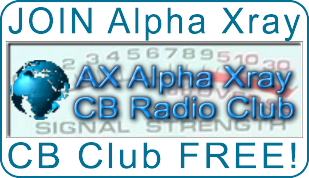 Newsletter stating all new members, good DX reports, new contacts etc. on the club’s CB chat channel. hoped that you will build a list of members in your area. membership will be forwarded to you. maintain, improve and oversee the Citizen’s Band Radio Service in Australia. communications network is paramount to the events success. 1. To make the public aware of the benefits of CB. 2. To gain a legal CB service for Australia. 3. To initiate a radio oriented safety network. ACRM handles well in excess of a thousand calls each year for assistance. are often the only link between life and death. the Riverland areas with the facility of using U.H.F. Radio. repeater site for the Barossa and surrounding districts in South Australia. operation of the Association and call on “working bees” as required. the Association welcomes support of any type from all users of the repeater. legalisation of the 27 Mhz. C.B. Band, This was the birth of the BSB Club. particularly if the money raised was directed to local charitable groups. talkathons, white elephant sales, garage sales, fishing competitions etc. to the news broadcast to further broaden the interests of the listeners. skip contacts from interstate as well. CENTRAL AUSTRALIAN RADIO EMERGENCY SERVICE. community through the medium of two-way radio. link, connecting the scene of the emergency to the required service. emergencies that may cause suffering and distress in the community. after VJD Mice Springs has closed down for the night. C.A.R.E.S. will also offer weather and road alert reports on request. 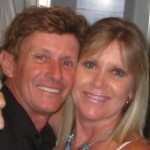 The joining fee is $10.00 a single or $15.00 for couples a year. Channels on CB Radios (UHF and HF). the callsign based upon the name of a watercourse local to him. complete member’s list with e-mail addresses. joining the group. This may change. Members receive full access to all Internet site facilities. On air listen and call on 27.375 LSB. WITH THIRTY SIX MEMBERS PRESENT AND THE FIRST COMMITTEE WAS ELECTED. USUALLY GOES FROM 7PM TILL ABOUT 9.3OPM. CHALLENGE WITH THE HAWKSBURY VALLEY RADIO GROUP. the construction of the repeater station. any extra fund raising conducted by the Association Committee. available to members and the use of the club’s P.O. box. is open to all CBers who have something to wheel or deal. future intentions are to initiate itself as a DX Club. for a double or family membership. new club, continues this distinctive name. h. Discounts on Electrophone RG-58 c/u and RG-213u coaxial cable. Kilo Romeo circle of friends. within the group and towards other operators. KILO ROMEO CIRCLE of FRIENDS GROUP INC.
parts of Tasmania and extending to the states on the mainland. given new meaning to activities associated with CB radio. given a question and answer in separate envelopes before they leave. equipment to people who are interested that are not as equipped as others. the band to help minimise interference. people who want to know the details so they can listen in and have a chat. other out and having a good time. on the repeater. Membership fees are currently $10.00 per financial year. years has seen a mystery coach tour organized. activities. We are a non-profit group. Meetings are usually, the 4th Thursday of the month. But dates can vary. Members are informed of meeting dates, usually by email. PO Box 320 Malvern Vic, 3144. Phones: (03) 9822-1066 Fax: (03) 9822-1895.
longest and continuous running CB club in Australia. caps, spoons, stubby holders, windcheaters and log sheets. others to join will also be provided. ground work for an up and coming CB club to make its mark on the CBRS. to be involved in worthy causes (if they are not already). operating practices through education and encouragement. the Secretary, Rebel Radio 339 Darryl for more information. form of barbecues and informal meals. which new members also receive in their membership package. occasions where public interest or welfare is involved. The group spreads itself across 180 countries with no joining fees involved. creed and offering support to them, where possible in times of need. involve the proper use of radio with courtesy. is wise of course, on contact to QSY to another channel. will be only to pleased to respond to any queries. funds are donated to the ROYAL FLYING DOCTOR SERVICE. cater for those CBers wishing to be a part of a group. the sale of various raffle ticket promotions. show for them at these times of the year. operators attending what became the first official meeting of the UHF Assoc. callsign of the club is WCB666 which was granted in November 1984.
ever since, kept in good shape by our volunteer technicians. anyone on request, and also to some CB radio shops in Perth. operators couldn’t talk on air without it being spoilt by troublemakers. Christmas picnics having 130 members and friends attending. contribute to the Royal Flying Doctor Service. as it should always be CITIZEN BAND RADIO.